PY 451 will give you the opportunity to get involved with various aspects of research, such as designing experiments, collecting data, and data analysis. This is a tremendous opportunity for students who plan to go to graduate school. Many graduate programs actually expect applicants to exhibit some degree of research experience. Check the department office for a description of faculty research interests. Try to find someone whose has interests that overlap with yours. But, all research experience is good, no matter what area of research you attempt. It is the student’s job to approach the faculty member about conducting research with them. It is best to contact them early during the registration period because most have a limited number of opportunities available each semester. Take these classes very seriously, and the reward will be twofold. You can include this experience in your graduate school application, and the faculty members that you work with will likely write a good letter of recommendation for you. Some courses offer undergraduate students opportunities to work with local organizations to complete service projects, or to go out into the community to meet and talk with organizations and individuals. 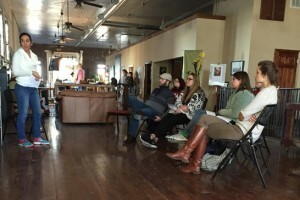 For example, undergraduate students enrolled in one course met with local artists and community youth for a project on the plight of abused, abandoned, and feral animals. Youth Villages provides volunteer opportunities for those wanting to help troubled children and their families in several states across the southeastern U.S. including Alabama. Information about them and what opportunities may be available can be found here. Brewer-Porch Children’s Center is a social service program and teaching clinic of The University of Alabama. Brewer-Porch is a separate department in the College of Arts and Sciences. The Center provides mental health services to children and adolescents. Undergraduates in the Department of Psychology often find volunteer and work opportunities at Brewer-Porch. More information about the Center can be found here.